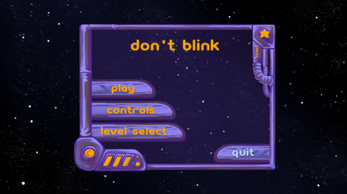 Don't Blink is a 2D puzzle platformer which relies on the player to memorize a path to the exit and then navigate through the level in total darkness. 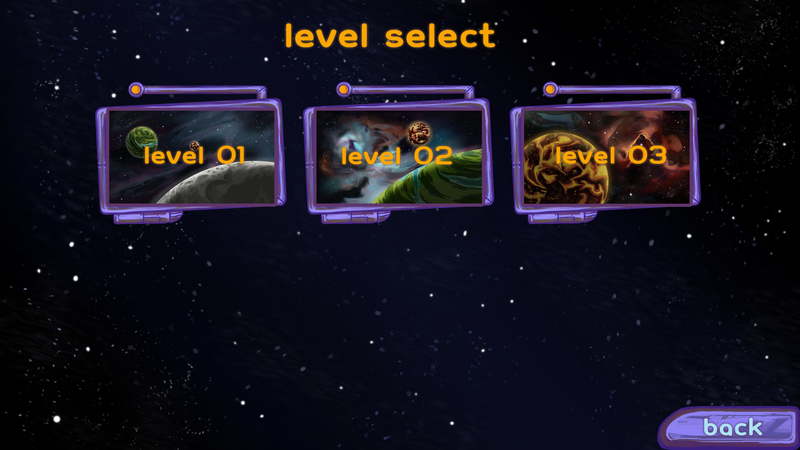 While the main objective is to reach the exit, secondary objectives provide incentive to finish the level more quickly and traverse a more difficult path to collect items that boost the player's final score. 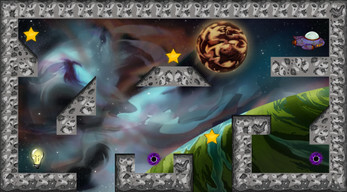 The player will be able to memorize the level for as long as they are able to refrain from blinking, but once they do, the game – and the challenge – begins. The game must be played in 1920x1080. Using the NeuroSky MindWave Mobile device to detect blinking is optional and can be enabled under the controls menu option. 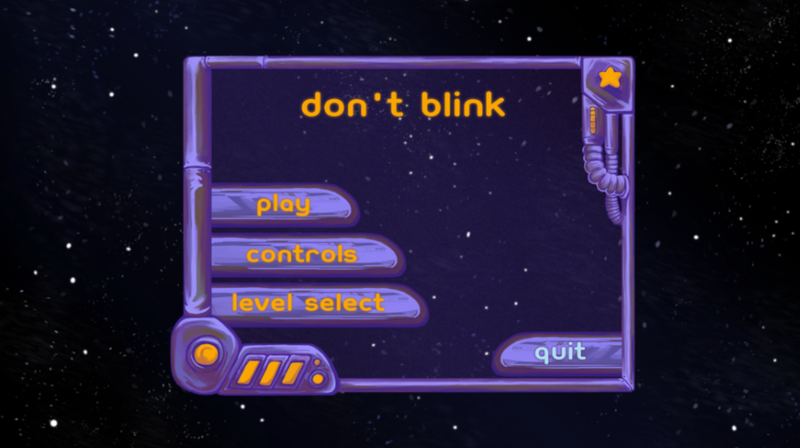 This device is not required to be able to play Don't Blink. Download the file and unzip it. Make sure that the .exe is next to the Data folder. The Levels were well designed and kept me thinking on what would be the quickest way to finish the stage. Controls were well balanced and had no issues with navigating each level. That said, only two issues came up while playing. First, was the lack of music. 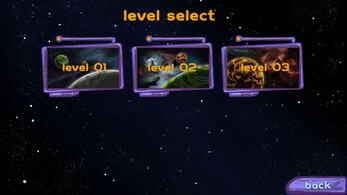 Each level could have used their own "theme music" or something along the lines to make them distinctive from each other. Lastly, the importance of the stars. Yes, the stars would add on to your final score but personally I felt no reason or need to get them. These two complaints barely affected my enjoyment from the game. If this were to continue and become a full length game, I would definitely look back into it. I enjoyed this game very much. 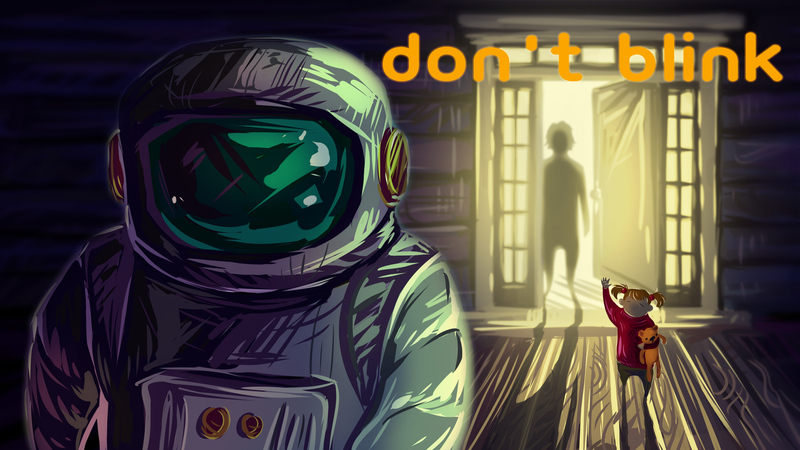 The art is beautifully crafted, and the animations of the astronaut were very smooth, did not have any trouble with the controls. The music was nice to listen to.The levels were not too hard, but if they were to continue this project, It would be nice to see a full game. I enjoyed the game. I thought the art was beautiful, and the animations of the character (both at idle and during the jumps) were well done. I had to consider which route I wanted to take during certain levels, but it would've been nice to know where my character would spawn at the beginning of the level. It's nice that the stars and light bulb stay in your "inventory" if you die to reduce the amount of frustration there is when you fail to avoid a black hole. I'd like to play more levels and see some more art.